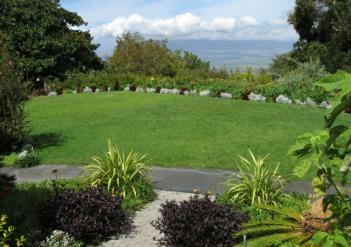 Our garden is a beautiful and tranquil place to host an upcountry wedding. We offer venues that can accomodate up to 150 people. 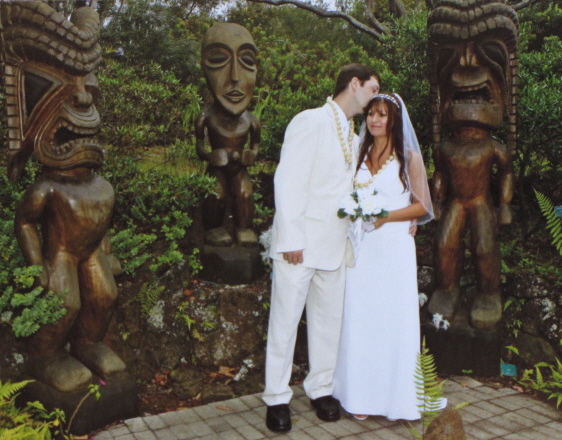 There are also many intimate locations for small weddings including a lanai at the Koi Pond. In contrast, the Lawn can accomodate up to 150 seated guests and a small reception. A brightly decorated border will compliment any color scheme and the lawn offers a view of Maui's Central Valley. 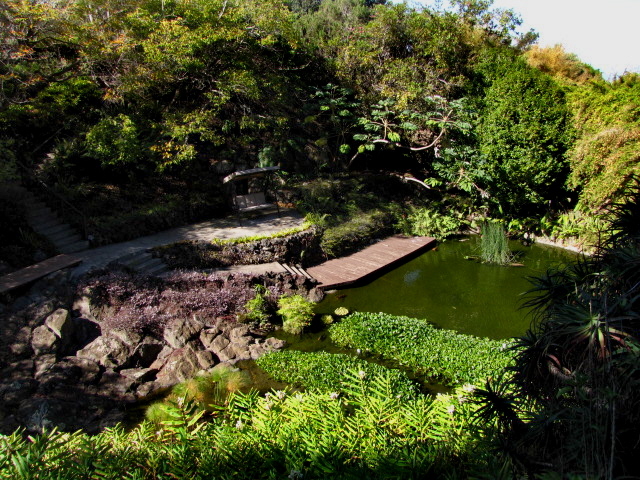 The Large Gazebo can comfortably fit 8-10 people and overlooks the Bird Sanctuary and Duck Ponds. The Small Gazebo can accomodate 4-6 people and has a lovely view of the gulch extending to the coastline at Kihei. To reserve a time and date for your wedding, please contact us by phone or mail (see below). A 20% non-refundable deposit is required to hold the date. Please note: For your safety, we ask that your function ends by dusk (7-8pm) as the garden does not have adequate lighting after dark. For further information, please contact us by mail or phone or click the link below to download our informational letter and reservation form. We are please to be able to offer rental of white folding chairs, tables, and a limited selection of small tents for your ceremony and/or reception. 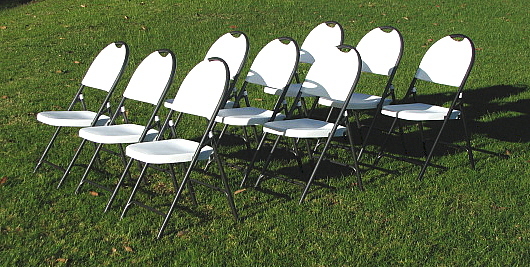 Chairs: These white folding chairs will be delivered to the lawn for you. Rental fee is $2.50 per chair in addition to the site fee listed above (minimum $50-).